Mark Zuckerberg to Appear on 'SNL'? Facebook founder Mark Zuckerberg has been invited to participate in this week's "Saturday Night Live," as "The Social Network's" Jesse Eisenberg hosts, according to the New York Post. Zuckerberg has indicated he's interested in an "SNL" appearance tomorrow "to show he has a sense of humor." Check out promos for this week's "SNL"! Will the fictional Mark Zuckerbeg take on the real Mark Zuckerberg? 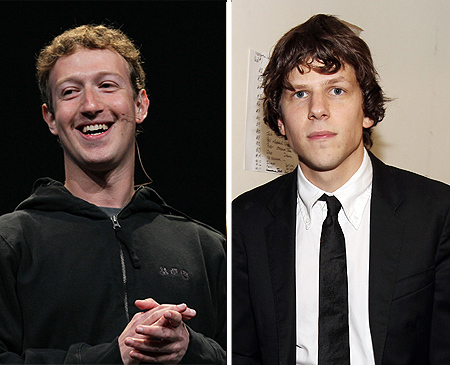 Watch this Saturday as Jesse Eisenberg hosts with musical guest Nicki Minaj.